A new project that aims to provide farmers in Sub-Saharan Africa with stress-tolerant maize varieties has been launched to help the region boost food security. The Stress Tolerant Maize for Africa (STMA) project will apply conventional breeding techniques to develop maize varieties and hybrids capable of resisting environmental shocks, including drought, low soil fertility, heat, pests and diseases. Twelve Sub-Sahara Africa countries — Benin, Ghana, Ethiopia, Kenya, Malawi, Mali, Nigeria, Uganda, South Africa, Tanzania, Zambia and Zimbabwe — will benefit from the project, which also seeks to enhance sustainable maize research and development systems in the focus countries. The STMA project to be run by the International Maize and Wheat Improvement Center (CIMMYT) and the International Institute of Tropical Agriculture (IITA), is being funded by the Bill and Melinda Gates Foundation and the United States Agency for International Development. The four-year project (2016-2019) launched last month (March 21) is expected to increase maize productivity by 30-50 per cent and provide 5.5 million smallholder farmers with improved maize varieties. The project follows the success of a drought-tolerant maize project that was implemented in Sub-Saharan Africa by CIMMYT and the IITA from 2007 to 2015. 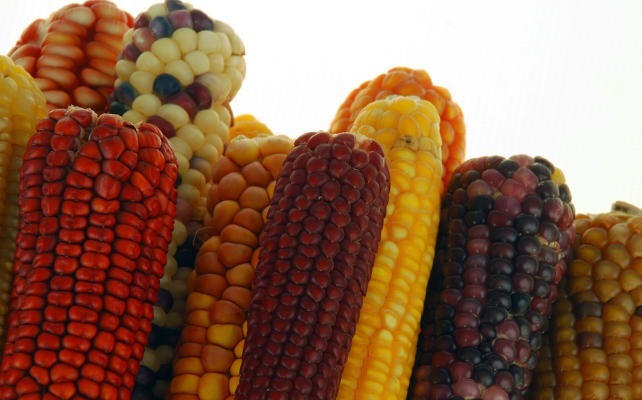 It helped improve food and income security of smallholder farmers by developing and disseminating more than 250 drought-tolerant, well-adapted maize varieties, says CIMMYT. According to CIMMYT, more than 35 million hectares of cultivated maize in Sub-Saharan Africa rely on the rain, thus making environmental shocks such as drought have major impact on smallholders whose livelihoods depend on the crop. Tsedeke Abate, the STMA project leader at CIMMYT, says the project seeks to provide innovative breeding tools and techniques applied for increasing the rate of genetic gain in the maize breeding pipeline. “The project also seeks to increase commercialisation of improved multiple stress-tolerant maize varieties with gender-preferred traits by the Sub-Saharan African seed sector and increase seed availability and farmer uptake of stress-tolerant maize varieties,” Abate tells SciDev.Net. According to Abate, the project will work with private and public seed companies and national agricultural research systems to facilitate uptake of the new technologies. Rinn Self, a programme officer at the US-based Bill and Melinda Gates Foundation, says maize production is increasingly threatened by climate change and worsening environmental conditions, including droughts, floods and poor soil. “The improved seeds in the hands of both smallholder farmers, many of whom are women, as well as small and medium enterprises, which produce, market and sell seeds and other inputs, play a critical part in the agricultural value chain,” Self notes. Aboubacar Toure, programme officer, crop improvement and variety adoption at Kenya-headquartered Alliance for a Green Revolution in Africa (AGRA), calls for incentives to help plant breeders develop new technologies and produce seed varieties that can adapt to climate change. Toure also urges African governments to scale up the improved technology so that many farmers can be reached with high-yielding cereal varieties.